"Why a CMS" is a better place to start than "Why Joomla". These innovations make web development and maintenance more affordable and this is an important consideration for businesses. Currently, the top 3 content management systems are WordPress, Joomla and Drupal. Search and you will find many articles on WordPress vs. Joomla vs. Drupal with some being more objective than others. It's a bit like the PC vs. Mac. vs. Linux debate where few reviewers are completely impartial and often tend to favour the system they are most familiar with. In fact, each system has it's own strengths and weaknesses and one will often be more suitable for a particular purpose. A larger design firm with several staff may have experts in Joomla, Drupal, Wordpress and possibly other CMSs and can select the most suitable CMS for each job. To be a successful freelancer, the best approach for me is to be an expert in one CMS system rather than trying to keep up to date with three or more and being an expert in none. Joomla may not be the best CMS for a pure blog website (Wordpress is probably better) or have the best performance (Drupal is probably better), but there are nearly 10,000 extensions available to make Joomla a great platform for blogging, e-commerce, forums, galleries, social networking, directories, a combination of these, or anything else you can think of. As you can see from the results, the Joomla website was completed fastest with the best code quality, the smallest page size and with the least lines of custom code by far. Ultimately, the cost of ownership of a Joomla website is lower and you end up with a better quality website for the time and money spent. I choose Joomla as it is the most versatile leading CMS and I can build good quality websites quicker, with more features and more affordably than with anything else. This ultimately benefits you, the consumer! 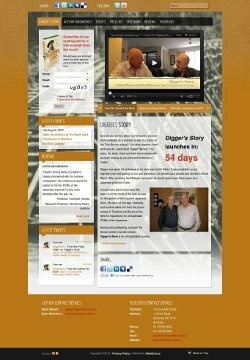 The latest website created by Webilicious ® is to promote "Digger's Story", a book by David Barrett and Brian Robertson and published by Five Mile Press. The book is David's own true story of his experience as a young soldier and prisoner of war of the Japanese and his subsequent journey in seeking and gaining reparations for all Australian prisoners of war. From research undertaken about book and author promotion websites, it appears a common complaint is a lack of contact details for the authors and/or the publisher. To address this, I have included contact details at the bottom of every page to ensure I don't make the same mistake. From research and discussion with the client, it became clear that essential features would need to include some exclusive content to encourage visitors to subscribe to the mailing list, author biographies and photos, an events calendar, a press kit to make it easy for media folks to help with publicising the book, a way for visitors to interact, some inside information about the book, ordering information and social networking links. JComments are enabled on the home page to enable feedback from visitors. Feedback is moderated so that commends are reviewed before being published. "Share" buttons implemented with PGT SocialWeb are included on every page. "Follow" buttons for the Author's Twitter and YouTube channels implemented with Social Media Icon Links and are included on every page. The "Momentum" template from RocketTheme has been installed and customised with an appropriate background image, transparent main and module areas. AcyMailing is the undisputed best newsletter / mailing list extension for Joomla with most features available for free with more advanced features available in the paid versions. Migrate core functions with JUpgrade or SP Upgrade or similar so that user ids are preserved. Copy the media/com_acymailing folder from your J1.5 website to your J1.6 website. Export the Joomla 1.5 AcyMailing tables using phpMyAdmin with the "Quick" and "SQL" options (Note: you can multiple select tables and export them as one file). If necessary, amend table prefixes by searching and replacing all of the old prefixes e.g. jos_ to j25_ inside the file(s). Import the Joomla 1.5 Acymailing databases into Joomla 2.5. Install the latest version of AcyMailing on the Joomla 2.5 website. You may also need to update the "View Online" links in your templates. The cost of migrating from Joomla 1.5 to Joomla 3.x depends on the number of third party extensions and whether there are Joomla 3.x equivalents, whether there is an equivalent Joomla 3.x template and other factors. A straightforward Joomla 1.5 to Joomla 3.x migration typically takes at least five hours and costs from around $450. 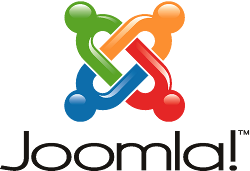 The cost of migrating from Joomla 2.5 to Joomla 3.x depends on the number of third party extensions and whether there are Joomla 3.x equivalents, whether there is an equivalent Joomla 3.x template and other factors. A straightforward Joomla 2.5 to Joomla 3.x migration migration typically takes at least three hours and costs from around $250. Delete the 22 x Joomla 2.5 Kunena databases. Import the Joomla 1.5 Kunena databases into Joomla 2.5. In Category Manager, reapply the permissions as these don't seem to be copied across.